Battleground (1949), starring John Hodiak and Van Johnson, is one of the movies TCM will feaure during week four of the 2016 Summer Under the Stars film festival. Each August, TCM presents Summer Under the Stars, a month-long film festival that celebrates the talents of some of old Hollywood's most beloved actors with 24 hours of their best movies. This year's Summer Under the Stars continues on Monday with leading man Robert Montgomery followed by the beautiful Brigitte Bardot on Tuesday; theatrical legend Constance Cummings on Wednesday; regular guy Van Johnson on Thursday; horror icon Boris Karloff on Friday; the easy-going James Garner on Saturday, and screwball heroine Jean Arthur on Sunday. Each week I'll have a viewer's guide with information about each actor and my top picks. FYI: the highlighted movies have links to feature articles. Born: May 21, 1904, in Fishkill Landing, N.Y.
Died: Sept. 27, 1981, in New York City. Montgomery was cremated. 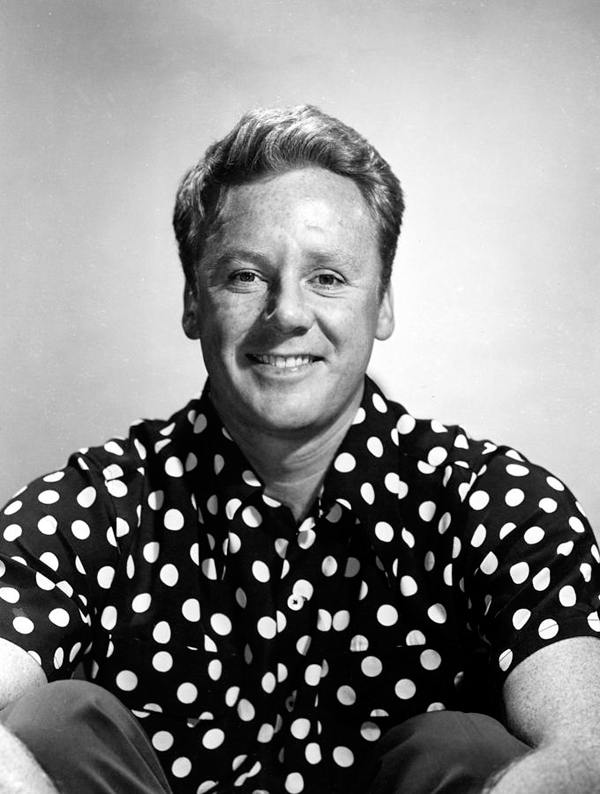 Bio: Born Henry Montgomery, Jr., the actor grew up in privilege, until his father, who was president of the New York Rubber Company, committed suicide in 1922. Montgomery began acting on Broadway, which led to a contract with MGM in 1929. Montgomery rose to stardom by playing the leading man opposite top MGM stars like Norma Shearer in The Divorcee (1930) at 6 a.m. and Private Lives (1931) at 12:30 a.m., Myrna Loy in When Ladies Meet (1933) at 10:30 a.m., and Joan Crawford in The Last of Mrs. Cheyney (1937) at 6:15 p.m. Montgomery took on more challenging roles in the late 1930's and early 1940's, including his Academy Award-nominated performance as a psychopath in Night Must Fall (1937) at 3:45 a.m. and his comic turn as Carole Lombard's befuddled husband in director Alfred Hitchcock's only screwball comedy, Mr and Mrs. Smith (1941) at 2 a.m. After serving in the Navy during World War II, Montgomery starred in director John Ford's war drama They Were Expendable (1945) at 10 p.m. He also directed two interesting noirs, including Lady in the Lake at 8 p.m.
Born: Sept. 28, 1934, in Paris. Bio: Bardot, who grew up in a middle class family in Paris, began her career as a dancer and model, but her youth and beauty soon brought her small parts in French, American, and British films like Helen of Troy (1956) at 8 a.m. and the World War II drama Act of Love (1953) at 6 a.m. Bardot became an international sensation in the hit movie And God Created Woman (1956) at 6:15 p.m. where she played a free-spirited teenager who is living in a conservative small town. Bardot then became one of the top movie stars of the 1960's in movies like the omnibus film, Spirits of the Dead (1968), at 12:15 p.m. where she plays a courtesan in a historical mystery directed by Louis Malle. As she grew older, Bardot became increasingly disenchanted with movie stardom, mostly living in her home in Saint-Tropez, but she occasionally made interesting films with important directors like her cameo appearance in auteur Jean-Luc Godard's avant-garde film, Masculin Feminin (1966) at 2 a.m.
Born: May 15, 1910, in Seattle. Died: Nov. 23, 2005, in Oxfordshire, England. Cummings was cremated. Bio: Born Constance Halverstadt, Cummings grew up in Seattle as the daughter of a lawyer and concert singer. She debuted on Broadway in 1928, where she was discovered by producer Samuel Goldwyn, who planned to cast her in a film co-starring Ronald Colman. Those plans didn't work out (Cummings was replaced by Loretta Young), but the young actress eventually made her screen debut as the naive daughter of a prison warden (Walter Huston) in The Criminal Code (1931) at 4:15 a.m. She went on to make around 20 movies in Hollywood, including director Frank Capra's drama American Madness (1932) at 11:15 p.m. about a banker (Huston again) who is falsely accused of a robbery, the Harold Lloyd comedy Movie Crazy (1932) at 2:15 a.m. and the George Raft gangster drama Night After Night (1932) at 9:45 p.m. Cummings left Hollywood for Great Britain in 1935 after her marriage to playwright Ben Wolfe Levy. She became one of the theatrical legends of British theater, playing most of the great female parts opposite actors like Laurence Olivier, Michael Redgrave, and Anthony Hopkins, but she occasionally made movies like her appearance in the Lord Peter Wimsey mystery Haunted Honeymoon (1940) at 7:30 a.m.
Born: Aug. 25, 1916, in Newport, R.I.
Bio: Born Charles Van Dell Johnson, the actor began performing in Newport social clubs when he was a teenager. He eventually found his way into summer stock and then Broadway, where he was an understudy in the popular Rodgers and Hart musical, Too Many Girls. 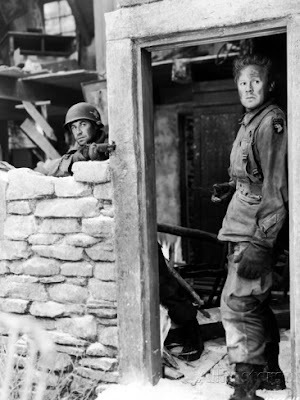 After a bit part in the film version of Too Many Girls, Johnson drifted around Hollywood until he landed at MGM where his non-threatening good looks and average Joe demeanor made him a standout in war movies like Thirty Seconds Over Tokyo (1944) at 1:45 p.m. and Battleground (1949) at 8 p.m. He also starred opposite most of MGM's popular female stars like June Allyson in The Bride Goes Wild (1948) at 6 a.m., High Barbaree (1947) at 8 a.m., and Two Girls and a Sailor (1944) at 12:15 a.m., Esther Williams in Duchess of Idaho (1950) at 10 a.m., and Judy Garland in In the Good Old Summertime (1949) at noon. 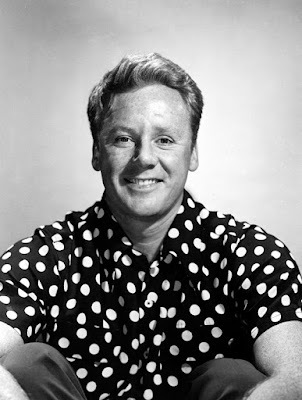 Johnson made the transition to theater and TV in the 1950's, but he did appear in a few movies like The Last Time I Saw Paris (1954) at 4:15 p.m. with Elizabeth Taylor and Miracle in the Rain (1956) at 10:15 p.m. with Jane Wyman. Born: Nov. 23, 1887, in London. Died: Feb. 2, 1969, in Midhurst, England. Karloff was cremated, but there is a plaque of remembrance at the Guildford Crematorium in Guildford, England. Bio: Born William Henry Pratt, Karloff was the youngest of nine children. 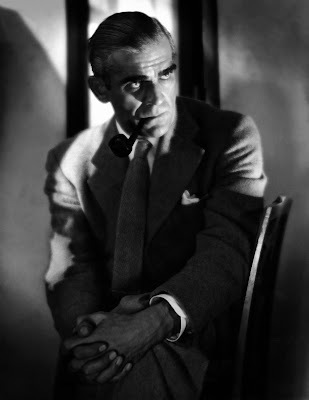 Karloff's mother died when he was quite young, and he was always a shy, quiet child who spoke with a stutter and lisp. Karloff briefly attended King's College in London, but he quickly abandoned any notion of higher education and headed to Canada where, after he grew tired of the back-breaking labor of an itinerant farm worker, he drifted into acting. Karloff eventually landed in Hollywood, where he got a few parts in silent movies, but his career really took off with the arrival of sound. 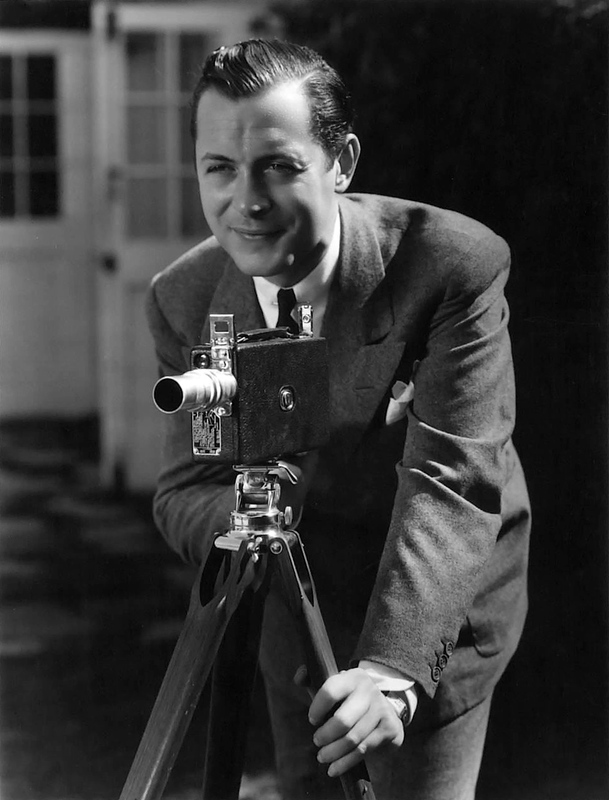 He got plum supporting parts in important movies like director John Ford's World War I drama The Lost Patrol (1934) at 7:45 a.m., but his breakthrough came in Frankenstein (1931) at 8 p.m., which was one of the first true blockbusters of the sound era. Karloff would forever be identified with Frankenstein's monster -- he reprised the role in The Bride of Frankenstein (1935) at 9:30 p.m. -- but he quickly took on other monster roles in The Mummy (1932) at 11 p.m. and The Mask of Fu Manchu (1932) at 10:15 a.m. Karloff appeared in many types of roles throughout his long-career, but he was always most closely associated with the horror genre, especially his movies with pal Bela Lugosi like The Black Cat (1934) at 12:30 a.m. and his three films with producer Val Lewton: The Body Snatcher (1945) at 1:45 a.m., Isle of the Dead (1945) at 3:15 a.m., and Bedlam (1946) at 4:30 a.m.
Born: April 27, 1928, in Norman, Okla.
Died: July 19, 2014, in Los Angeles. Bio: Born James Bumgarner, the actor had a difficult childhood before enlisting in the Merchant Marines during World War II. He also served a stint in the Army during the Korean War, where he was wounded twice. Garner got into acting on the advice of a high school classmate, and he quickly moved from TV commercials into roles in both film and TV. 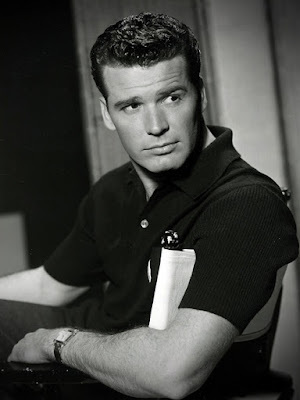 Garner's wisecracking turn on the Western TV series Maverick made him a household name, which led to several film roles, including in the all-star World War II action-adventure, The Great Escape (1963) at 8 p.m. and the romantic comedy The Americanization of Emily (1964) at 10 a.m, which was Garner's own favorite among his own film roles. Other sixties hits included the cowboy comedy Support Your Local Sheriff (1969) at 6:15 p.m., director John Frankenheimer's racing saga Grand Prix (1966) at 11 p.m., and the detective drama Marlowe (1969) at 4:15 a.m.
Born: Oct. 17, 1900, in Plattsburgh, N.Y.
Died: June 19, 1991, in Carmel by the Sea, Calif. Arthur was cremated and her ashes scattered off the California coast. Bio: Born Gladys Greene, Arthur got into films during the silent era, but she struggled for more than a decade until roles in gangster films like The Whole Town's Talking (1935) at 6:15 p.m. and Public Hero No. 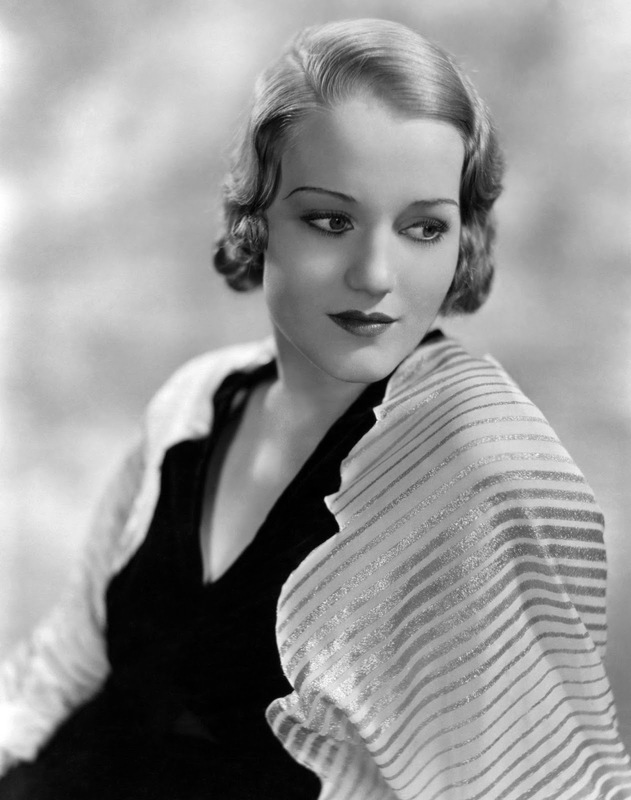 1 (1935) at 4:15 a.m. gave her a higher profile in Hollywood. Arthur's big break came in director Frank Capra's comedy Mr. Deeds Goes to Town (1936) at 11:45 p.m. where she played a tough newspaperwoman who falls in love with a country bumpkin played by Gary Cooper. That role led to a fertile period in Arthur's career. She played Calamity Jane in the Western, The Plainsman (1936) at 6 a.m., but she made her mark in screwballs like Easy Living (1937) at 8 p.m. and You Can't Take It With You (1938) at 2 a.m. Arthur appeared in two timeless classics in 1939: Capra's political dramedy Mr. Smith Goes to Washington at 4 p.m. and Only Angels Have Wings (1939) at 8 a.m., and her popularity continued to rise during the 1940's when she earned her only Oscar nomination for her performance in The More the Merrier (1943) at 9:45 p.m. Arthur only made two more films after her contract with Columbia Pictures expired in 1944: The Billy Wilder comedy A Foreign Affair (1948) at noon and the Western Shane (1953) at 2 p.m. Check back Monday for my review of They Were Expendable and on Friday for my look a Karloff's thirties monster roles. Plus, I'll be posting photos, videos, and GIFs of each star every day on social media. You can follow me on Tumblr, Google+ or Pinterest or like Old Hollywood Film's page on Facebook. Follow me on Twitter @oldhollywood21.